where have you installed the mod to? You have to put the whole extracted PlanetaryBaseInc folder into the GameData folder. Or maybe something has gone wrong with the download. Have you tried to install the mod from a fresh download? If this doen't help, i need the KSP.log file that is in the games folder (where KSP.exe) is. This file will probably tell, what is going wrong. What do you mean with "The most recent beta"? Are you still in the beta program in Steam? If yes, you'd have to deactivate it. The official release of KSP is now 1.1.2 and it is only redistributed via the normal release channels. So to beta version of KSP is older than the official release. 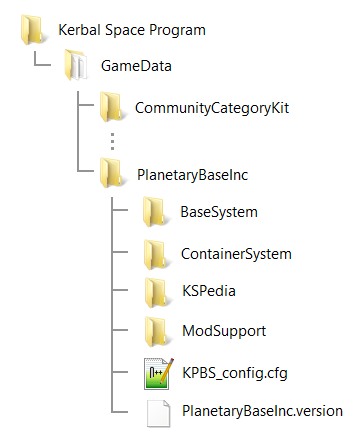 If this does not help, the KSP.log and sceenshots of the GameData folder and the PlanetaryBaseInc folder inside the GameData folder will help to identify the problem. Hmm, sounds to me more like a problem with the container from USI rather than with KPBS. What containers are you using and what exactly did you put inside? Do you mean the inventory of the Kerbal, that is added with KIS? Could you send me (or post here) the KPS.log (in the same folder as the KSP executable)from when you tried to open the inventory? I need it to find out what the error might be. I can't seem to get the the planetary habitat mk2 to work properly. In the Space plane Hanger I can see the option to deploy it but when I test it out on the runway it starts deployed and there is no button to retract it. The Habitat MK2, as well as all the other deployable parts deploy automatically at start when there is a Kerbal inside of them. The parts can only be retracted, when no Kerbal is inside of these parts. 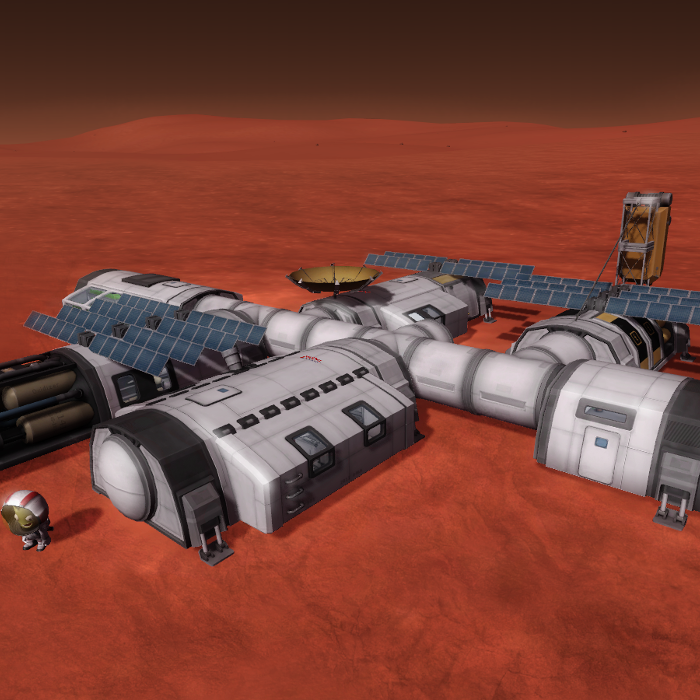 Try transfering all Kerbals that are inside of the Habitat MK2 into other parts, then it should work. Nils, I can't seem to get the mod working. It shows up on addons in game but there are no parts or anything. I tried to reinstall it but it didn't work. When I try to add it to GameData in the KSP folder it doesn't show up. hey nils is in the ksp folder? or in te gamedata? Hmm...this problem is new to me. I hope i understand you right. You cannot go into the IVA perspective right? Or are you not able to put a kerbal inside of the parts of this mod in the SPH/VAB? And the portraits of the Kerbals in IVA (also in stock parts) disappear when you move a Kerbal into one of the parts from this mod? Where do you have installed the "PlanetaryBaseInc" to? What other mods do you use? PS: Why can the greenhouse experiment be only ever used once? Not even a scientist can reset experiment! Why not???? 1. The bug with the cupola/lab is due to a restriction of the Contract System itself. It uses the internal unique name of the parts. When you have ModuleManager installed, they will be accepted. This also enables contracts for other parts (Habitats) of this mod to be a possible requirement for a base. I will add that to the mods description and ReadMe to make this more obvious. I will try to fix this for the next update. I just checke the problem with the greenhouse you mentioned and when i have a Kerbal inside a laboratory, it is possible to reset the experiment from the greenhouse. It works just like the Mystery Goo or the Science Jr.
Or does this not work for you?